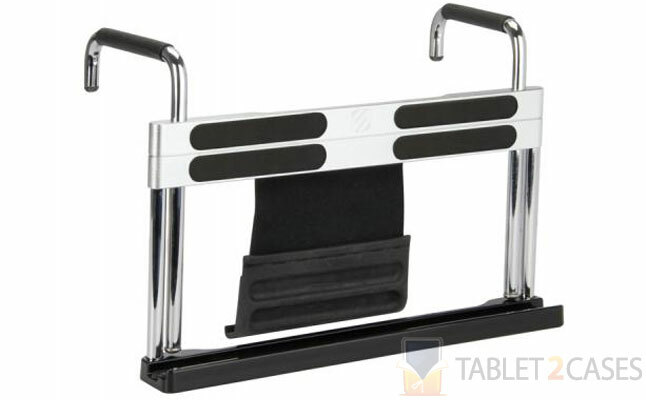 fitRAIL from Scosche is a unique tablet stand case designed specifically to accompany your workout. The new case can accommodate all Apple tablets including iPad, iPad 2, and new iPad. The fitRAIL can be attached to virtually any type of exercise equipment thanks to its clever and durable construction, which will also keep your tablet safe from bumps and bruises. 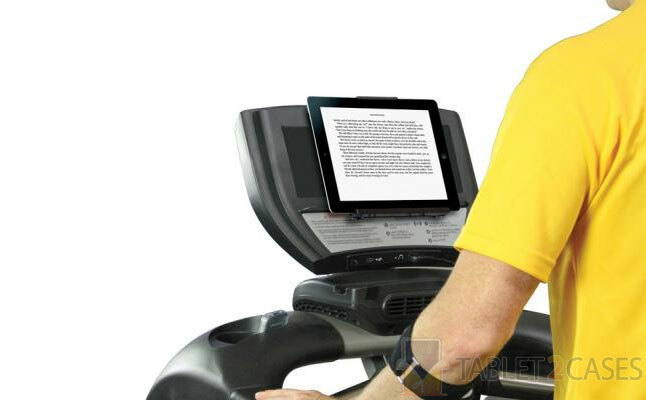 The new iPad case comes with 2 inch mounting hooks, which will help you find the right angle and secure the device on any treadmill, elliptical machine, exercise bike or any other machine you prefer to exercise on. 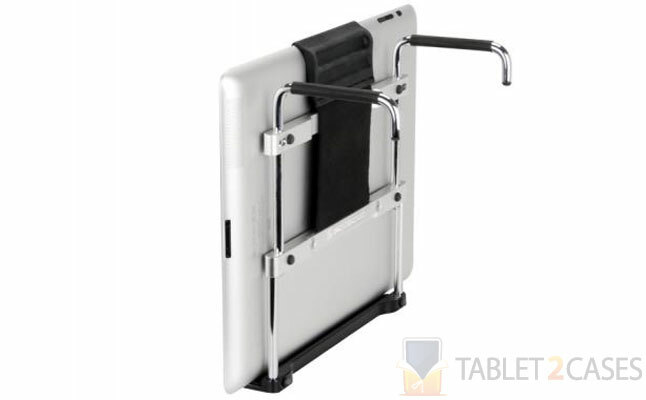 The tablet itself can be secured against the frame of the case with a unique stickGRIP material, while the clip-on strap grabs the top of the tablet to keep it safely in place. 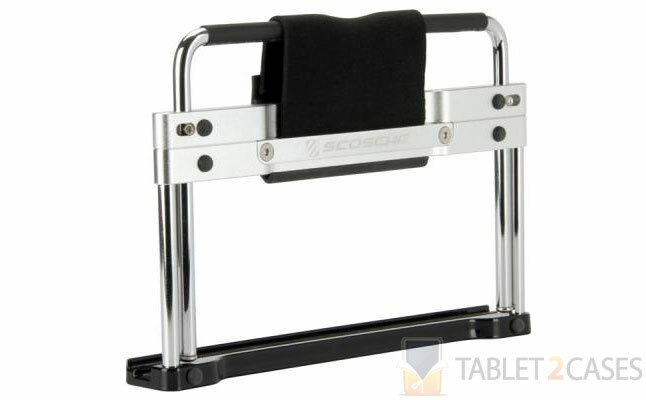 The mounting functions are not everything the Apple iPad 2 case offers. 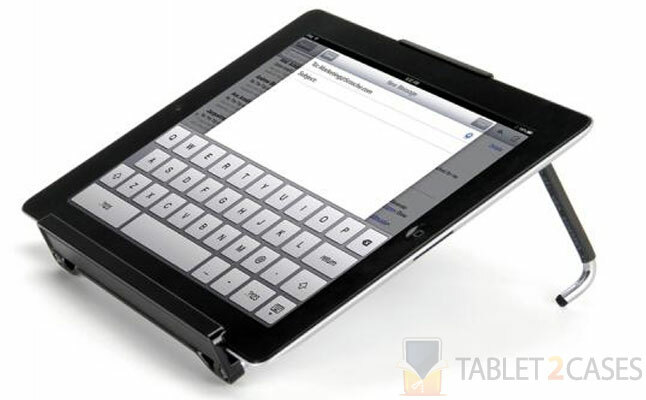 It can also act as a highly convenient tablet stand providing both multimedia viewing and typing angles. A special travel pouch is included to ease transportation and keep the case safe on-the-go.